PineChemical Grooup has been certified according to FSC-STD-40-004 V3-0. FSC certified material can be supplied upon request. 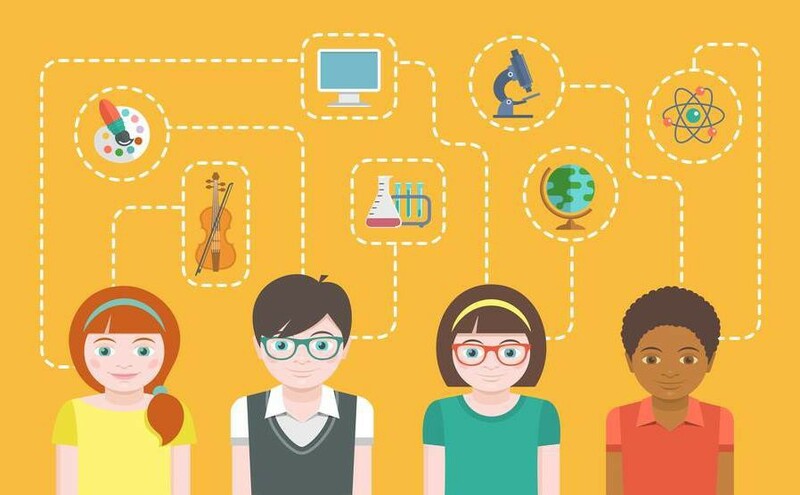 TET is a Finnish Governmental internship program for middle-school students targeted at promoting the first hands-on work experience. Pine Chemical Group is to welcome a middle-school student from Helsinki. Pine Chemical Group is represented by official team of delegates, taking part in the Business Forum, during PAP- FOR. Together with other leaders in Pulp and Paper industry, indicating today’s issues and shaping the future for the industry. XV International exhibition and Business forum PAP-FOR takes place in Saint-Petersburg on November 12-16, 2018. The global Tall Oil Fatty Acid market is valued at 610 million US$ in 2017 and will reach 560 million US$ by the end of 2025, growing at a CAGR of -1.0% during 2018-2025. Pine Chemical Group ranked 13th place in the Global Tall Oil Fatty Acid Market Research Report 2018. The global Tall Oil Fatty Acid market is valued at 610 million USD in 2017. 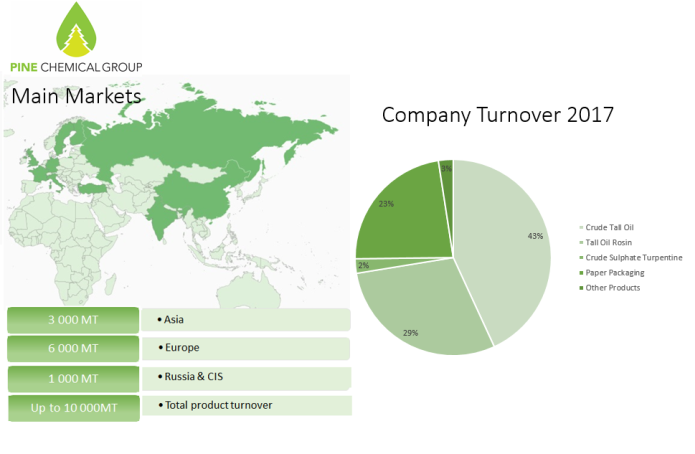 Pine Chemical group takes around 2 percent of the global total production. Pine Chemical Group ranked 7th place among leading players and manufacturers in the Report entitled Global Crude Sulfate Turpentine (CST) Market 2018. This report studies Crude Sulfate Turpentine in Global market, especially in North America, China, Europe, Southeast Asia, Japan and India, with production, revenue, consumption, import and export in these regions, from 2012 to 2016, and forecast to 2022. 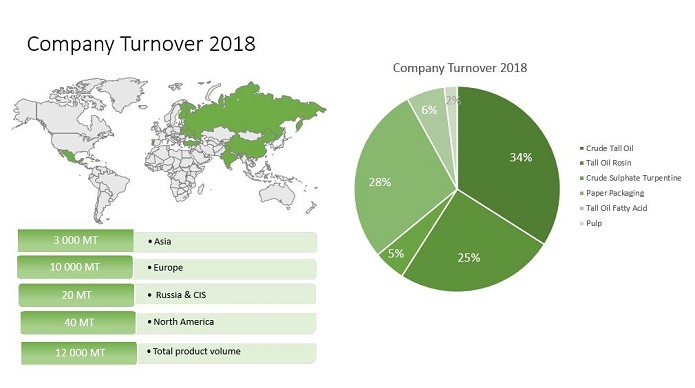 Yet for another year Pine Chemical Group became the largest export operator of Tall Oil products in Russia by volume increasing its share on the world market. Pine Chemical Group ranked 2nd place among leading players and manufacturers in the Report entitled Global Tall Oil Pitch (TOP) Market 2017. The Report analyses the crucial factors of the Tall Oil Pitch (TOP) market based on present industry situations, market demands, business strategies adopted by Tall Oil Pitch (TOP) market players and their growth scenario. 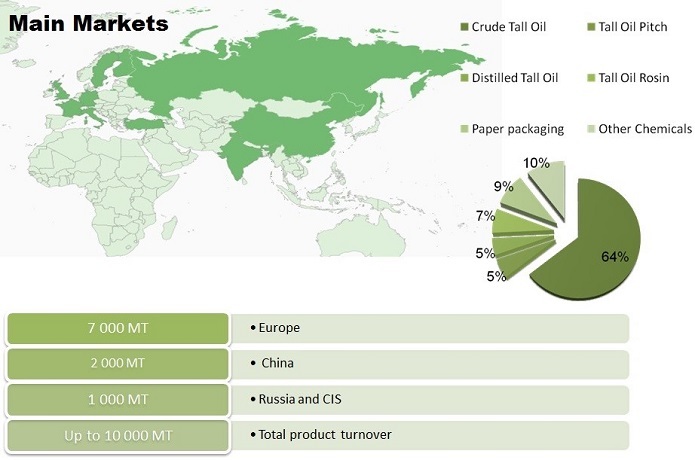 In accordance with the Report entitled Global Distilled Tall Oil Market Pine Chemical Group ranks 2nd place among leading players of this field. On the basis on the end users/applications, this report focuses on the status for major applications, consumption, market share and growth rate of Distilled Tall Oil (DTO) for each application.